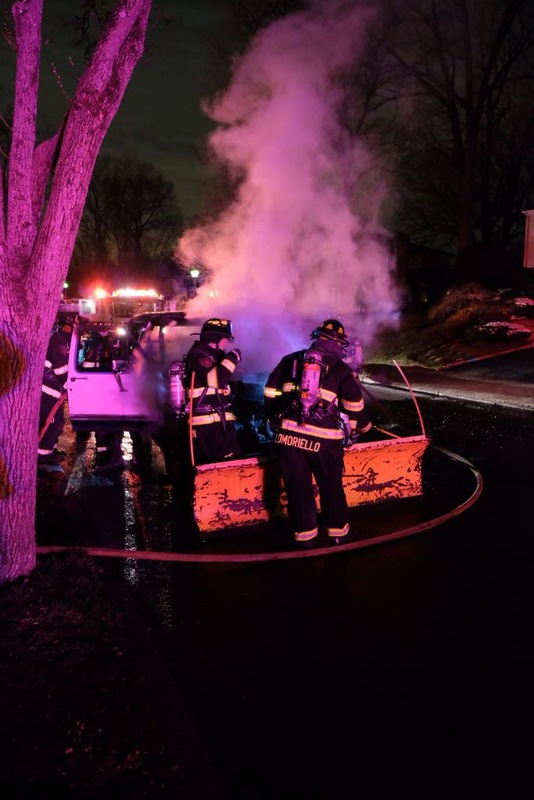 Tonight during the monthly meeting Oradell FD Members were alerted for a car fire on O’Connell Place. Units turned out quickly with Chief 20, Chief 201 arriving and confirming a well involved SUV. Squad 22, Engine 23 and Engine 24 all arrived about the same time. Squad 22 and Engine 23 each stretched one hose line each and operated for about 30 minutes with members for Engine 24. Remember to follow us on Facebook, Instagram and Twitter also !